Put your contact details on everything important. Even if you think you won’t lose anything, do it just in case. Include your email address or Facebook profile so when you’re overseas people can still contact you if you don’t have a phone. Have photocopies or photos on your phone of important documents. Keep all important documents easily accessible when you're in airports or somewhere you'll need booking information. Having to rummage through multiple bags while handling a toddler (who may not be happy) is its own type of stressful. Consciously leave baby brain at home. Speaking from experience here - be extra mindful of the things you used to do without thought (like where you put tickets in a moment when you need to pick up your crying toddler). Be aware of the baby brain, and it won't be able to get the better of you! When things don’t go to plan, stay calm and treat it all as part of the adventure. Try to make memories everywhere, even if you’re stranded in an airport, find ways to make the experience more fun. Consider it all part of the holiday, even if it’s not the holiday you planned. Your baby/toddler won’t know the difference. Pack lots of food. Food keeps kids happy and quiet, which is bliss in long/waiting/boring/stressful times. Try to pack food that takes a while to eat, like crackers or saltanas, which are eaten piece by piece, rather than things that are gone after a couple bites. Pack some for yourself too - keep the HANGRY (hungry-angry) monster at bay. Choose to be flexible and relaxed. Go with the flow and trust that things can go back to normal once you get home. Stay healthy so you can stay energetic and happy. Take vitamins, drink lots of water, and try to be well-rested. From someone who spent half her holiday sick, trust me, it’s worth it. Your holiday begins day one, no matter what happens. We don’t get many holidays now we’re parents, so choose to make it a holiday from the first moment, even if it just begins with a fun car trip to the airport. Worry in proportion to the trip. If it’s only a week-long holiday, don’t worry about it for two months. Be prepared early if you like, but don’t allow yourself to be stressed, worried or nervous more than the holiday is worth. Otherwise, what’s the point of a holiday? Borrow and ask around. These days, everyone has been somewhere. Everyone’s got extra. We borrowed heaps of stuff for our trip and were able to save lots of money. Take as little as possible. Trust yourself to be resourceful and to be able to get what you need once you’re there. Find out what’s available at your accommodation so you don’t take things already there or which are unnecessary. For example, if you know you’ll have a washing machine, don’t pack clothes for every day of the trip. Things I took too many of - plastic plates, spoons, bibs, drink bottles, clothes, shoes, hats, and blankets. Also, in new places (and with new people around) kids need less toys - so don’t bother taking many! Minimise your luggage. You’ll be so glad you did. You won’t miss any extra bags or kgs when you’re lugging them around the airport or up and down staircases. Don’t forget about yourself. Make sure you check you’ve got what you need - clothes, gear, documents. I only realised the night before we left for our holiday that I had gotten all the things my baby needed, but forgotten to get myself any clothes! Always pack panadol/nurofen. You never know when the teething or sick monster will rear its ugly head. Enjoy the chance to see a different side of the world now you have kids. I sat and watched local scenes for half an hour, I danced with strangers on a bridge, and got up close with local wildlife. 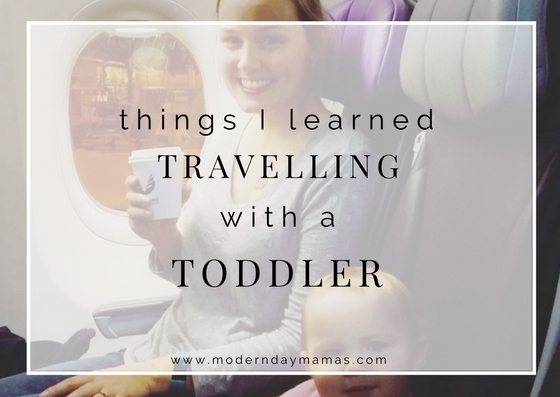 I have so many memories of my trip which would never have been possible without my toddler. But still take time to do something special for yourself. Do something without your baby, something that makes it feel like it’s your holiday too. And give your partner that opportunity too. We took turns - one of us had our baby while the other did something fun - he got to go snowboarding, and I got to go ziplining and on a helicopter flight. Holiday anyway: Having fun at her grandparents' home after we missed our flight. Feeding ducks is fun anywhere in the world. Borrow what you can: Thanks everyone who shared their snow gear with us! These are some of the things I learned and will make sure to remember for our next adventure. 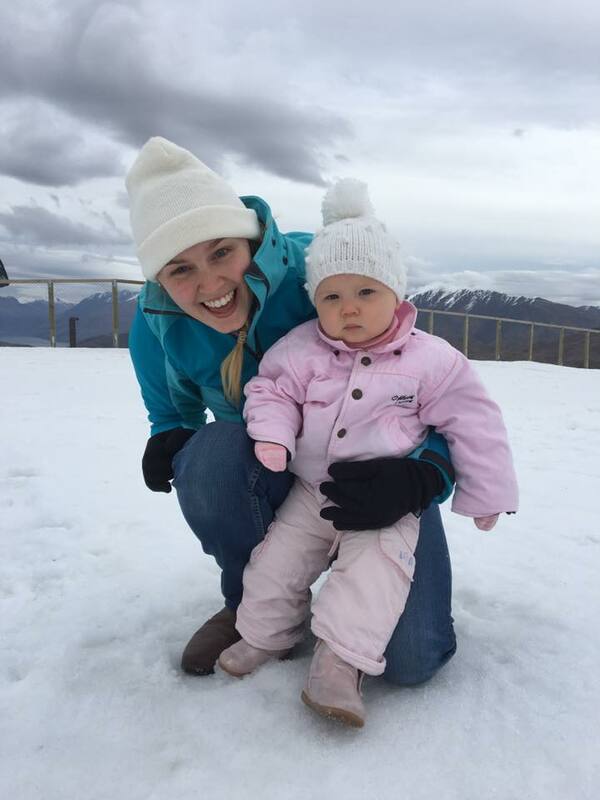 What have you learned while travelling with a baby or toddler? Let us know in the comments below.